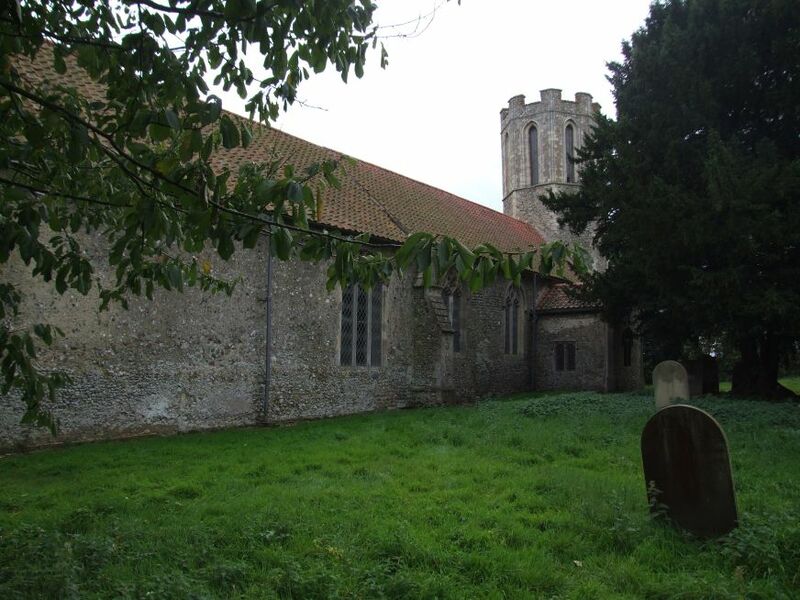 This hauntingly lovely church sits all on its own in the lonely, rolling fields above the River Yare, a quarter of a mile from the nearest road. 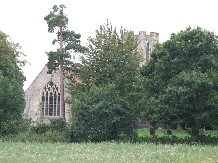 You have to walk across the fields from a row of cottages to reach it, and so tree-surrounded is the site that your first full view of the building is as you step across the ditch into the graveyard. 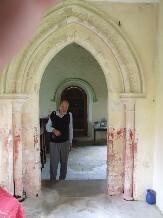 In some ways, the church is typical of those around here, the rather stark, heavily buttressed flint walls of the nave and chancel running into one beneath the striking red pantiles of the roof, with a surviving Norman doorway to reveal its true origins. 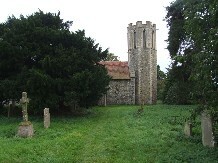 But the 13th century octagonal tower is one of only a few in England. 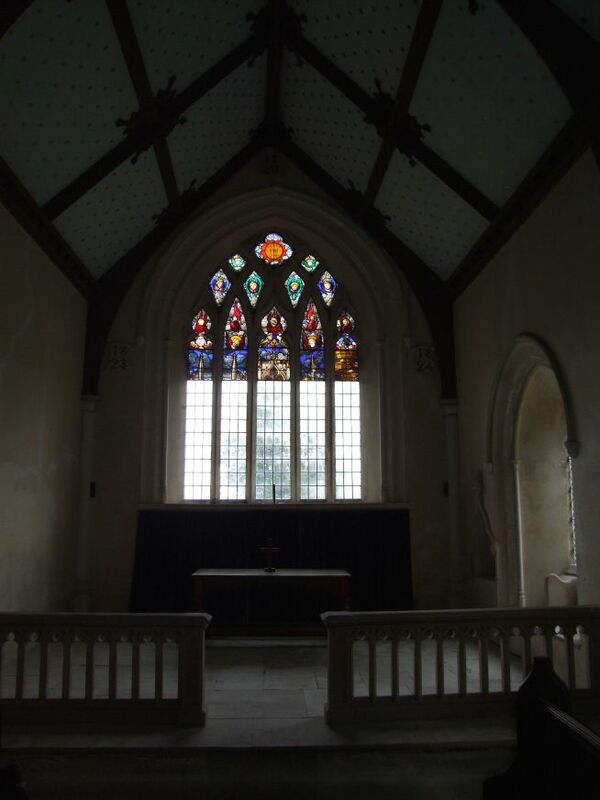 St Nicholas is an object lesson in the importance of a church being declared redundant as soon as it is clear that it is no longer possible for an Anglican faith community to care for it. 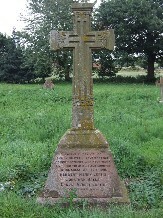 For, in this area of many small parishes and churches, it fell into disuse in the 1970s, and in the years before it could formally be taken into the care of the Redundant Churches Fund, it was prey to terrible depredation and vandalism. 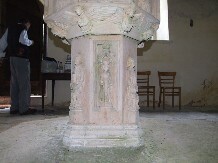 Today, after a couple of decades in the care of the Churches Conservation Trust, the story is a much happier one. 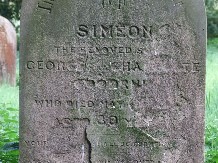 But the scars of those times remain. 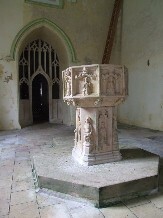 The significance of St Nicholas as a church is that the interior was the fruit of a most unusual time, the early decades of the 19th century, when there was an enthusiasm for Gothic, or more precisely Gothick, but without the understanding of the significance of Gothic forms that would come through the Ecclesiological movement. 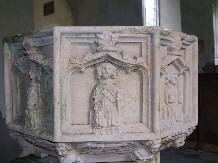 What we have, then, is a Georgian vision of the Middle Ages, probably by a local architect, perhaps even the Rector himself. 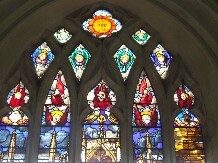 The most significant part of this scheme was perhaps the coloured glass, the work of the Norwich artist SC Yarington in the early 1820s. 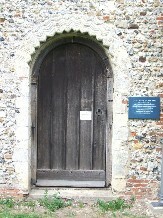 Workshops like Yarrington's were used to providing for country houses and public buildings, but churches were a new departure for them. 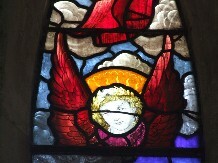 A number of East Anglian churches have glass by Yarrington, but this must have been one of the biggest schemes. 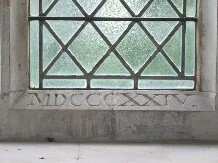 Glass of this age is fascinating, because it comes from a completely different theological mindset to the increasing ritualism and exegesis of the later decades of the century. 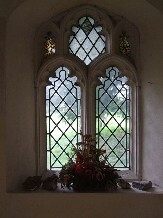 During the 1970s, Yarrington's glass was systematically smashed by stones picked up in the churchyard, or bits of wood broken off of furniture inside. 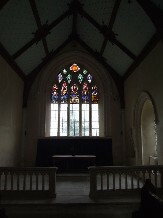 When the Redundant Churches Fund took possession, the remains were removed (this was when Mortlock saw the window) and what could be repaired has been reset in the upper part, the glass below it left clear. This is a curious sight, but a constant reminder of what happens when a building like this is slowly abandoned. 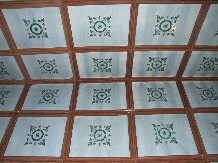 The interior decoration of the church is unusual. Pastel green walls and brick floors lend an organic feel, but the eye is drawn to the surprise of the infilled tower arch, looking like the sugar icing of a wedding cake. 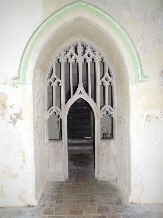 Here, the Georgians used the tracery pattern of a window to create a kind of stone screen, as if this was the entry into a cathedral choir. For good measure, the arch is picked out in a darker green. 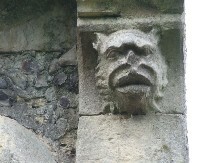 Although the historical importance of St Nicholas is undoubtedly its Georgian makeover - and, of course, the fact that it has survived at all to remind us of our folly - there is also one great medieval survival. 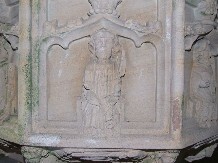 This is an exceptionally fine font, one of several in this part of Norfolk which depicts Saints standing around the shaft and seated on the panels. There is another nearby at Hemblington which has been carefully restored and repainted, but the one here is in its raw state, and is all the more haunting for that. 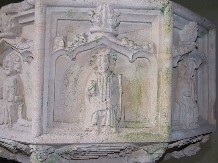 Figures seated around the bowl, holding their symbols, include St Simon with an erect fish, St Bartholomew with a flencing knife, St Peter with a very ong key which looks as if it might be used for locking a church, St Leonard with his manacles, St James with his pilgrim staff, and the dedicatee of the church, St Nicholas. 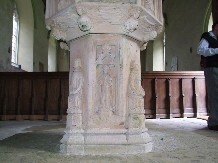 Those standing around the shaft include St John, St Etheldreda and St Helen. 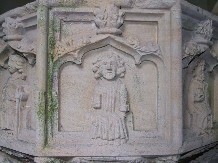 The font contrasts rather curiously with the gothick arch, as you would expect. 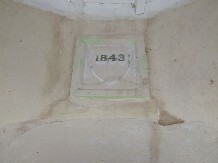 There are various dates carved and painted on the walls and sills, and high above the arch is the date 1841, probably an indication of the completion of the interior (1843 on the porch is probably the date of reopening). 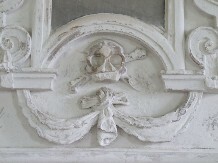 Between the two parts of the date is the ghost of a set of royal arms, long since stolen. 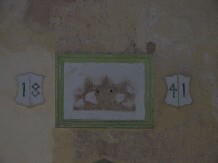 More traumatically, the single bell in the tower was also stolen, in 1973. 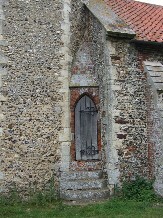 Cast in about 1290, it was the oldest bell in East Anglia, and has almost certainly been melted down. One wonders what else is lost. 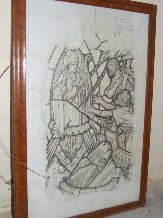 In the vestry there is a cartoon of a stained glass window featuring the church's patron saint. Was it ever completed and installed? 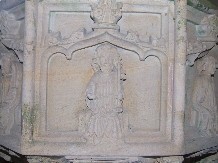 A number of plaques and memorials did survive the abandonment. 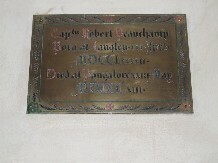 Two are to members of the Beauchamp family, who died out in the empire as the 19th century began, one in Bangalore and the other in Dublin. 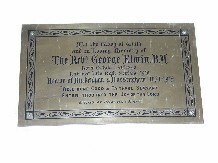 The Reverend George Elwin, who was Rector of here and hassingham for 44 years a century later, is also remembered. 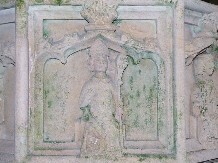 Best of all is an early 18th century wall-mounted memorial to Anne Newbury, looking half a century older. 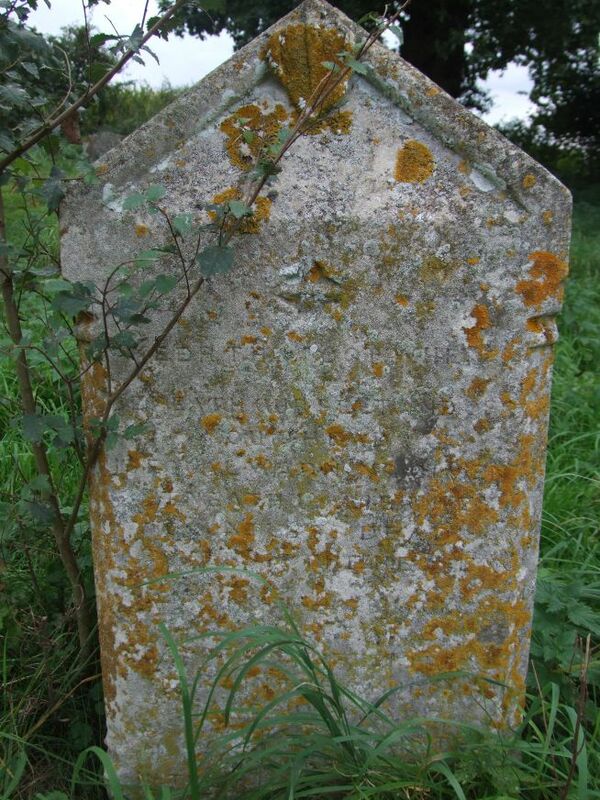 But time does move slowly in these parts. 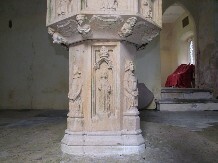 I have said on this site many times quite how much I admire the work of the Churches Conservation Trust. 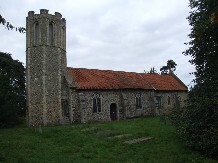 Along with other charities like the Norfolk Churches Trust and the Friends of Friendless Churches, they have saved the heritage of the county. 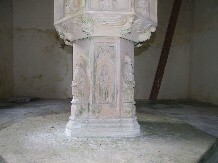 But it is easy to imagine the effect of a desecrated and vandalised village church on the other parishes around here. 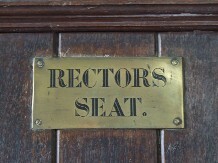 In some ways, the disasters of the 1970s have had a galvanising effect on rural dioceses, encouraging them to band churches together in joint benefices and under team ministries. 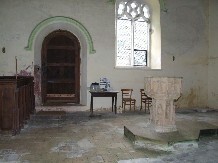 It is unusual nowadays for a church to be abandoned. But for nearly a decade, this noble building was subject to appalling things, and perhaps it is not surprising that this area of Norfolk now has more locked churches than any other. 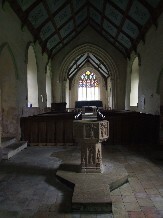 Ironically, just about the only churches which are open to strangers and pilgrims every day are those in the care of the Churches Conservation Trust, like this one.